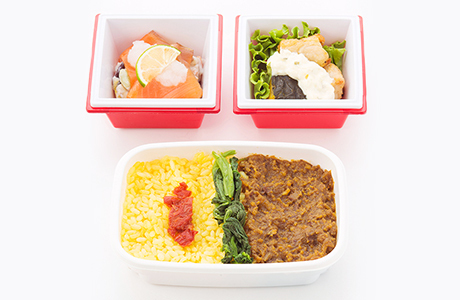 With the hope that people will say "I want to fly JAL because I look forward to the food", the goal was to make meals that are delicious but that also bring more fun to catching a flight. Adding an extra something special to mealtime. 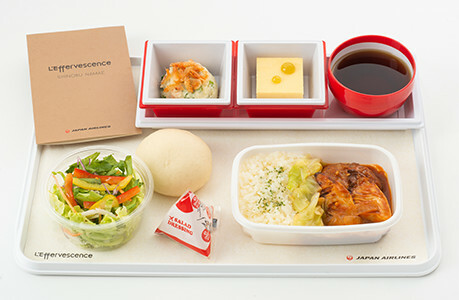 Let the JAL Kitchen Gallery, born from JAL's warm hospitality, make your time in the skies more enjoyable. Menu by six young talented chefs. In-flight Meals Designed by Young Chefs. We welcomed the six young chefs from RED U-35, Japan’s largest culinary competition aimed at discovering young talent of tomorrow. 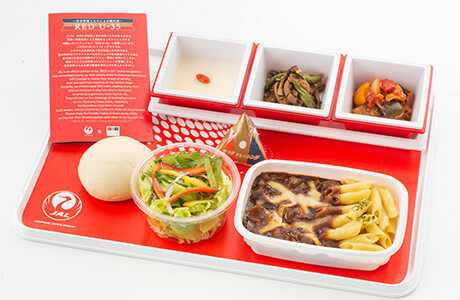 JAL will serve new in-flight meals in a variety of cuisines such as Japanese, French, Italian and Chinese cuisines. It was launched in 2013 as Japan’s largest culinary competition aimed at discovering young and talented chefs of tomorrow. * Two options are available for main dish on above route excluding Manila service. Good old western style restaurant in the Sky. 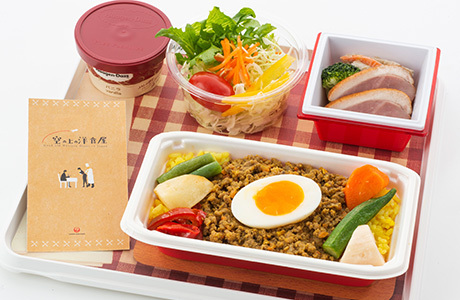 Starting December 2018, JAL will be serving good old western style inflight meal supervised by JAL Royal Catering chefs. Shanghai (Hongqiao, Pudong), Beijing, Dalian, Guangzhou, Tianjin, Hongkong, Taipei (Taoyuan, Songshan) and Kaohsiung. The ramen noodles restaurant "Japanese Soba Noodles TSUTA" has been awarded one-star in the Michelin Guide Tokyo since 2016 as the first ramen noodles restaurant in the world. 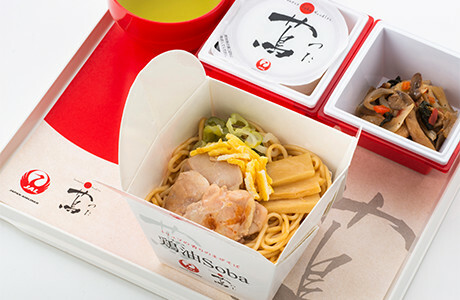 "Japanese Soba Noodles TSUTA"is always progressing by using carefully selected ingredients. Plese enjoy the exquisite noodles using truffles oil which is the representative ingredient of "Japanese Soba Noodles TSUTA". * Noodles do not contain buckwheat flour. Chicago, Boston, New York, Los Angeles, San Diego, Dallas, Seattle, Vancouver, Frankfurt, Helsinki and Melbourne. Menu supervised by Shinobu Namae, head chef of L�Effervescence. 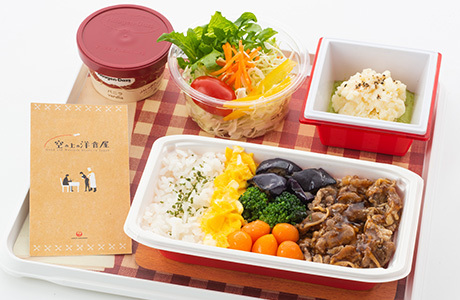 With the theme "A moment of happiness inside the cabin", and Chef Namae�s concept "Making customers happy with delicious meals", it is an original menu just for JAL�s Hawaii� flights. Please enjoy the high quality, healthy menu created with seasonal ingredients. Menu supervised by Shinobu Namae, head chef of �L�Effervescence� restaurant. Born in 1973. After graduating the department of political science at university, he became a sous chef at Michel Bras Toya Japan in Hokkaido and The Fat Duck in the U.K. In 2010 he opened L�Effervescence in Tokyo, a two-star Michelin restaurant and winner of the Sustainable Restaurant Award, a special award at Asia�s 50 Best Restaurants. 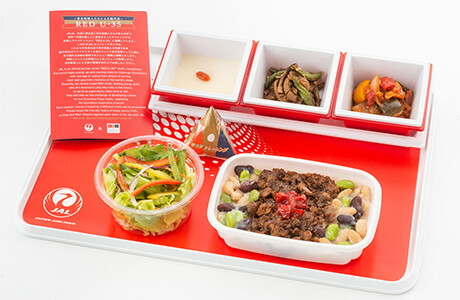 For Economy Class passengers on Korea routes flying to or from Japan, JAL offers a soraben-style inflight meal. Enjoy seasonal ingredients that give a sense of the four seasons. 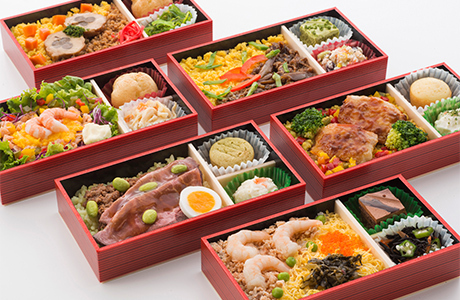 Passengers flying between Haneda and Gimpo airports will enjoy a hot meal. 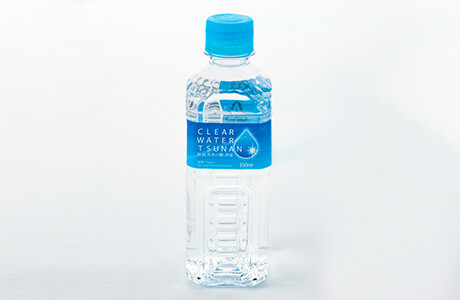 We offer bottled water to passengers on most of the flights to Europe, Pacific, Southeast Asia and Sydney. Feel a sense of comfort knowing you always have water on hand. Our bottled water is from Tsunan in the southern part of Japan's Niigata Prefecture. Tsunan is an area of heavy snowfall sitting above Japan's greatest river terrace. It is a land blessed by natural environs that feature the snow-covered Naeba mountain range, of which Joshin'etsu-kogen National Park is a part, as well as natural water springs, and has been designated one of Japan's 100 Selected Water Spots by the Ministry of Land, Infrastructure, Transport and Tourism. This soft mineral water has a hardness rating of only 17 ppm, making it easy to chug as you enjoy your meal. On long-haul flights, it's only natural you don't want to wait for snacks or beverages when you feel hungry or thirsty. 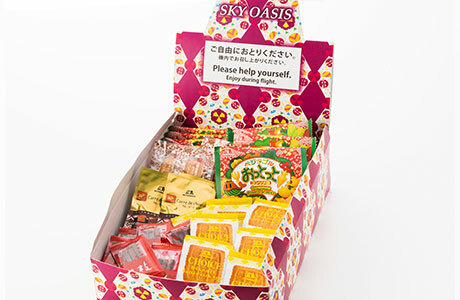 So please help yourself to our convenient Sky Oasis selection on flights to and from Europe and North America routes (except Hawaii route).